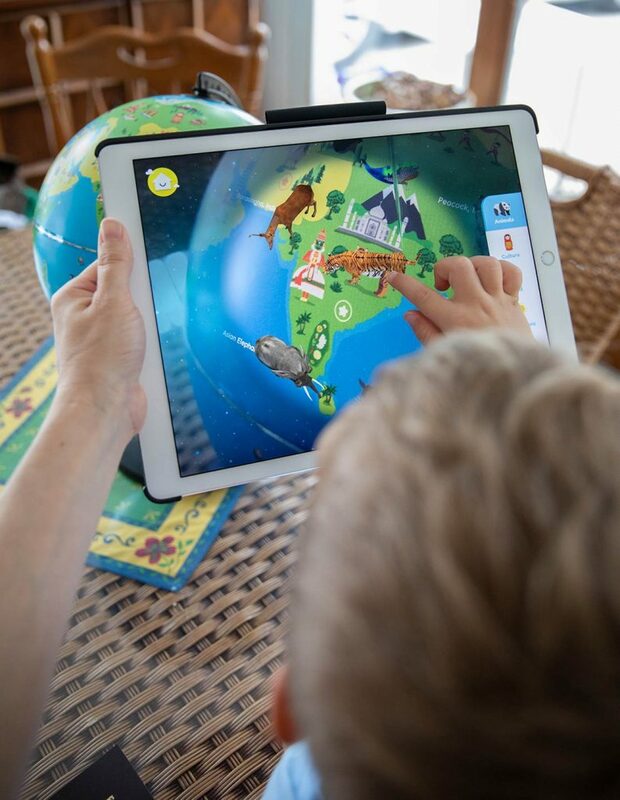 Shifu Orboot is a 10″ inch Augmented-Reality globe that allows your child to absorb endless amounts of knowledge and “travel the globe” with a tap of a finger! 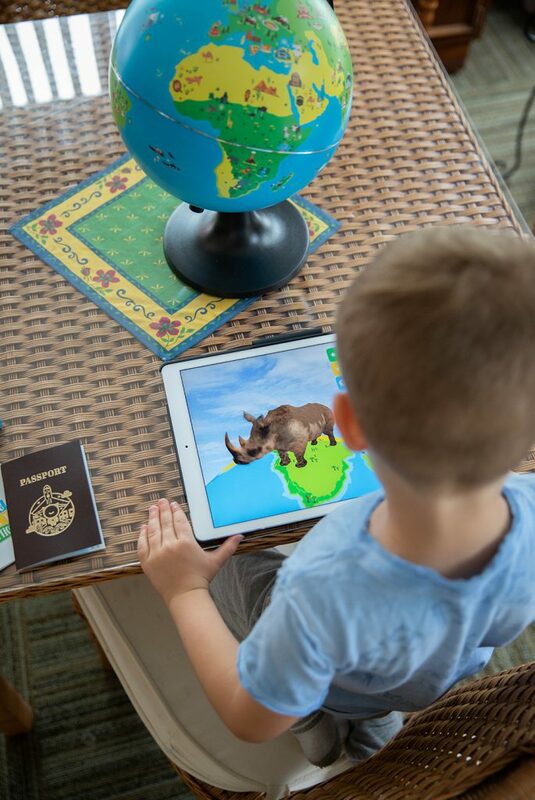 Using an iPad or smart phone, your child will explore the countries and cultures found all across the world. There are six categories to choose from and over 400+ highlights and 1000+ facts to learn about! 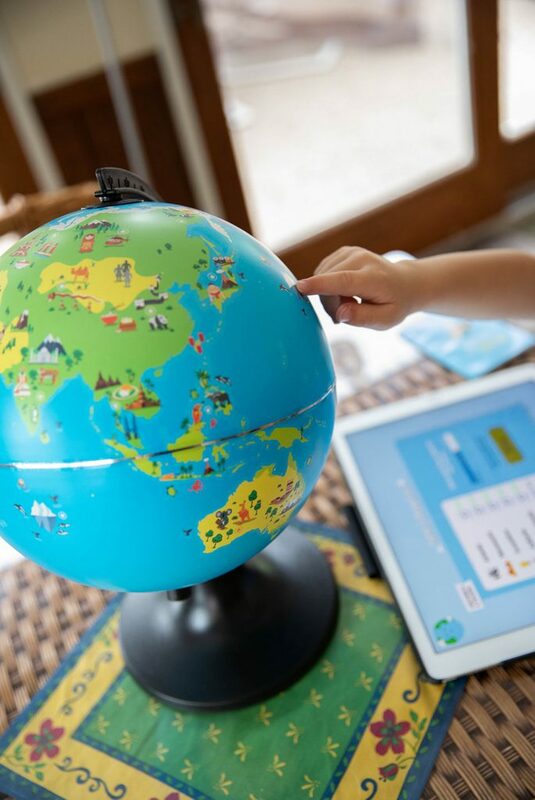 This one-of-a-kind globe is your child’s ticket to travel the world, making learning by fun using 3D highlights, information, and interactive exercises. Packed with puzzles and quizzes based on every region of the globe, your child will become a budding adventurer after playing with this toy! 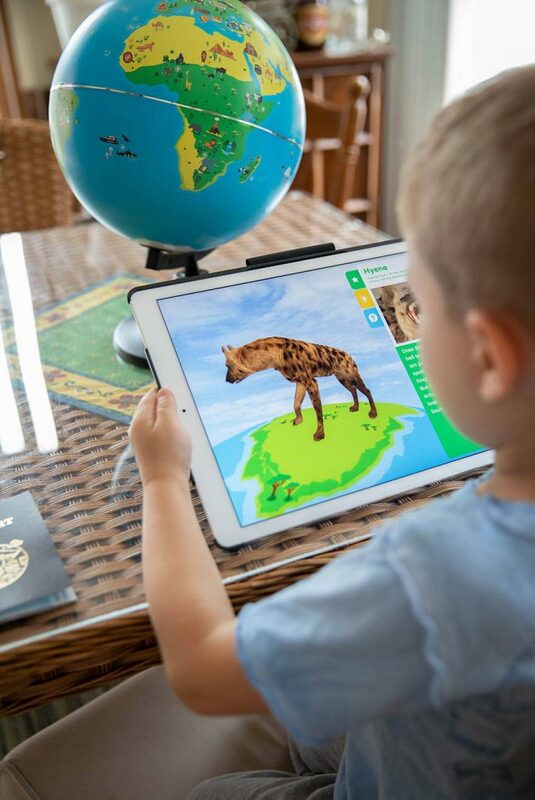 This educational, Augmented-Reality Globe is geared for boys & girls ages 4 to 10 years old. The app has easy, medium and hard settings that allow you to set the level of learning appropriately for your child. It’s great that your child can use this globe for years and years of learning benefits. The perfect toy for the ever-curious kids that sparks their imagination and curiosity. It helps build knowledge, linguistic and cognitive skills. Makes for an amazing and unique gift! 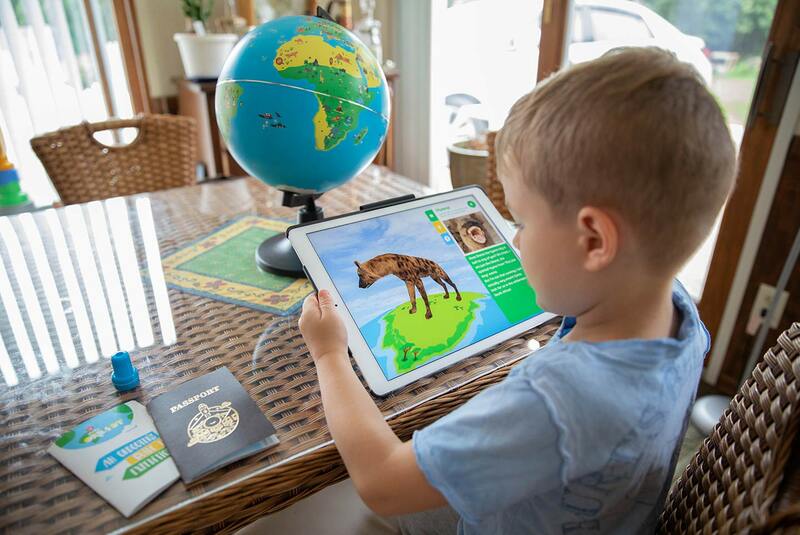 The app allows your child to learn about cultures, monuments, inventions, animals, maps and weather for various countries across the globe. Learn about Animals, Maps and weather for various countries across the globe. Since my daughter is a few years shy of the recommended age for this product, I based my review on my four-year-old nephew’s interaction and opinions. When we opened it out of the box, John was thrilled to see all the different animals and monuments on the globe. 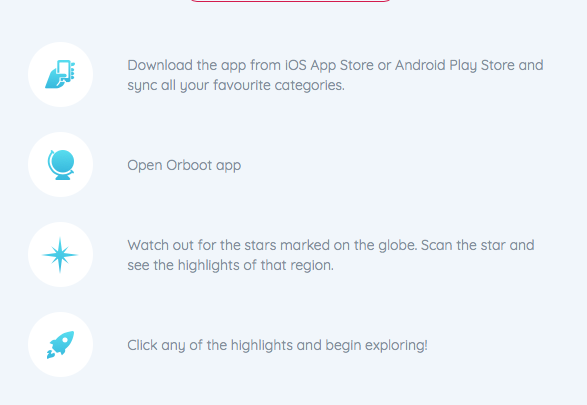 We downloaded the app and loaded the different categories (this did take about 15 minutes or so). Once the categories were downloaded it was time to play! John grabbed the iPad and matched up the star outline on the iPad to the star on the globe. Animals from the various regions appeared in the iPad in 3D – it was really amazing! John’s favorite part was finding the different animals and seeing what foods they liked to eat. All in all, he really enjoyed the Shifu Orboot and after he went home, he called to say he was excited to play with it again. I say this products is not only Mom – but also Kid Approved! Lastly, I did have a chance to browse some of the other functionalities of the Orboot and realized there were areas that were too advanced for John. I can see how this product has a wide age recommendation. Have you tried Augmented Reality before?